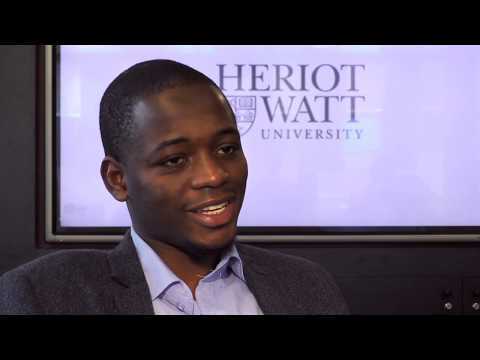 For more information about Chemistry at Heriot-Watt University, please visit the webpage using the button above. The core chemistry courses (along with additional chemistry courses) ensure a strong basis in theory and laboratory practice. Communication and enterprise skills are an integral part of the programme. Students choose a research topic in Level 4 or 5. The programme aims to produce Chemistry graduates at the highest level of professional skill and knowledge, whilst at the same time allowing for a broad, flexible programme in the earlier years. Accredited by the Royal Society of Chemistry for partially meeting the academic criteria for Chartered Chemist (CChem). 70% of those working are in a professional/managerial position six months after graduating. HNC A in graded unit. Additional HNC profile requirement. Please contact Admissions Tutor for further information. Additional information Transfer from BSc to MChem is possible up to the end of Year 3 with a Chemistry average greater than 60%. Advanced Highers AB in Chemistry and Mathematics, plus AABB at Higher. Int. Baccalaureate 35 points to include Higher Level Mathematics and Chemistry (both at minimum grade 6). HND BB in graded units. Graded tariff is for guidance only. Please contact Admissions Tutor for further information. HND AA in graded units. Please contact Admissions Tutor for further information.